If you’re looking to flirt with the wild side, swimming in one of world’s most fascinating natural pools of water, Devil’s Pool, can be experienced during your guided tour of Livingstone Island. This isn’t your ordinary swim in an infinity pool, but a daring dip on the very edge of the Victoria Falls. Brave swimmers will get to experience the ultimate thrill of peering over the brim of the largest curtain of falling water. 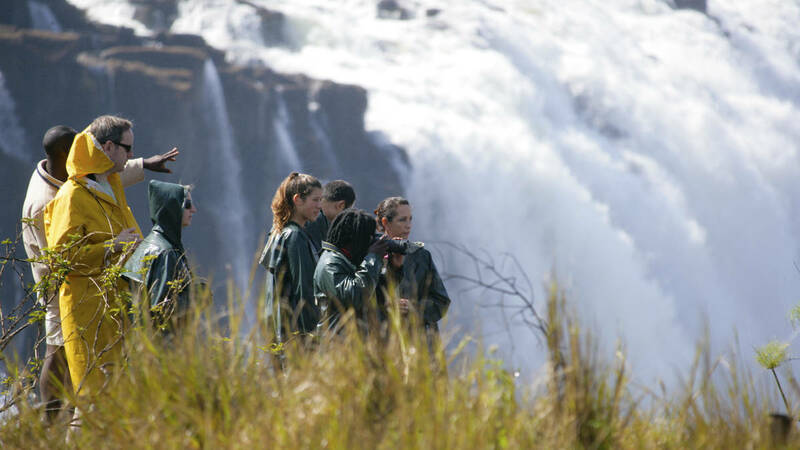 Did you know… guided tours to Livingstone Island have a 100% safety record. It is illegal to visit the Island with a private guide or on your own. 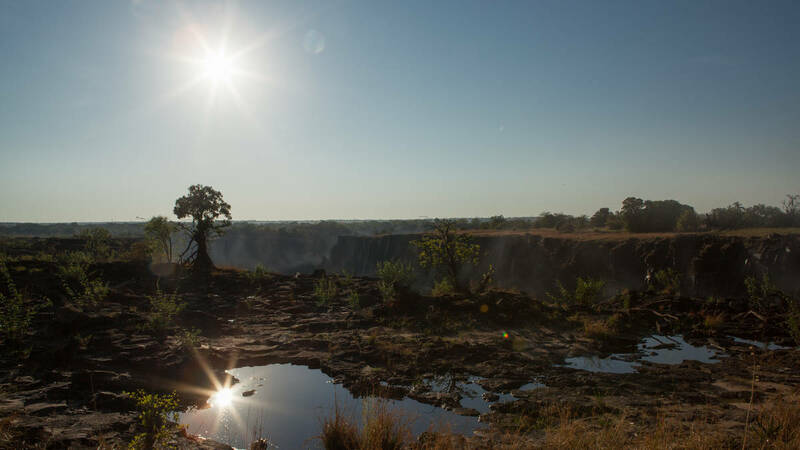 Devil’s Pool is open during the drier months of the year, usually between mid August and mid January, when the Zambezi water levels are low enough for swimmers to take the plunge. 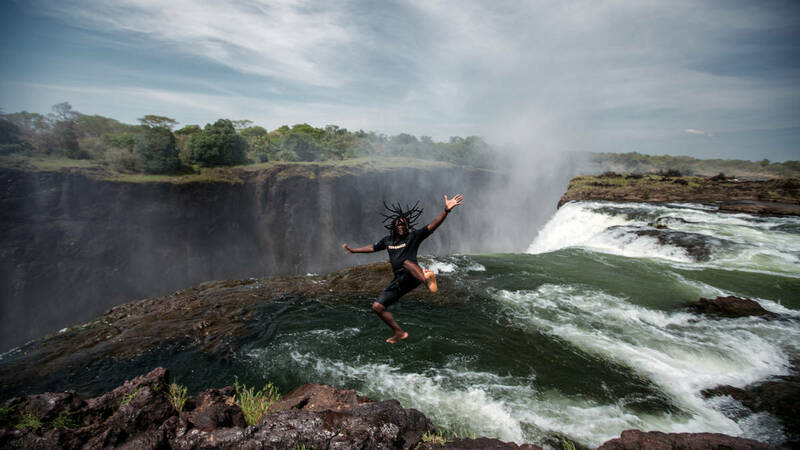 WhenDevil's Pool is open during the drier months of the year, usually between mid August and mid January, when the Zambezi water levels are low enough for swimmers to take the plunge. WeatherThe tour is very seasonal and are effected by rain fall. What to WearSwimwear, comfortable clothes and walking shoes. Things to BringSunscreen, swimming towel, hat, sunglasses and your camera. ExclusionsPark fees and items of a personal nature. Victoria Falls is one of the world’s natural wonders and among the most spectacular sights in all of Africa. The best vantage point from where to witness this immense mass of water is Livingstone Island, the place where Dr David Livingstone first glimpsed Mosi-oa-Tunya (The Smoke That Thunders). 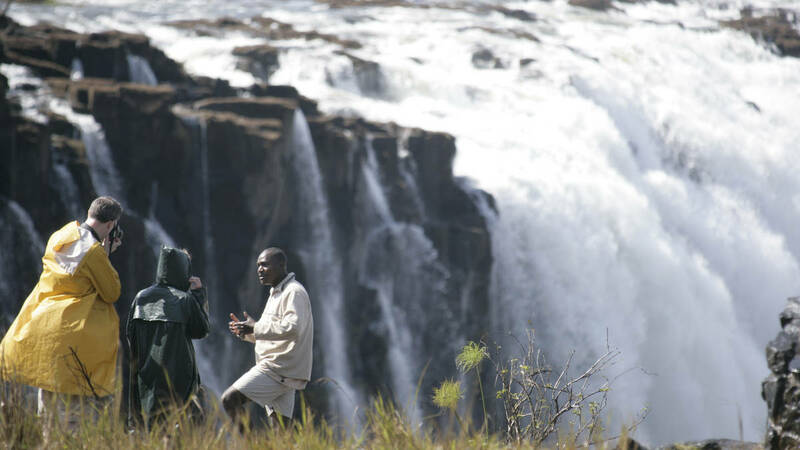 Tongabezi offers five trips a day to Livingstone Island. A boat that carries up to 16 people will take you through the fast-moving channels of the Zambezi, a thrilling journey. On the island you will be given a guided tour, learning about its history from ancient times when it served as a sacrificial site to the present day and its World Heritage status.